It's Wanda here on this wonderful Tuesday!! 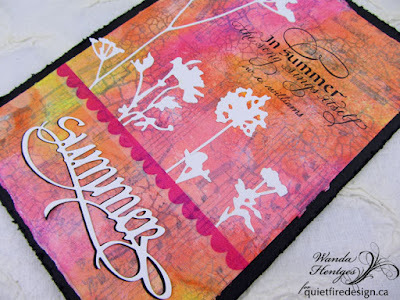 There are so many fabulous new Quietfire stamps and dies that it was hard to choose which ones to use for today's project but I finally decided on Summer. It even felt like Summer here in Southern Iowa this holiday weekend and we had sunshine for Memorial Day. 1 - Cut manila cardstock 5" x 7". 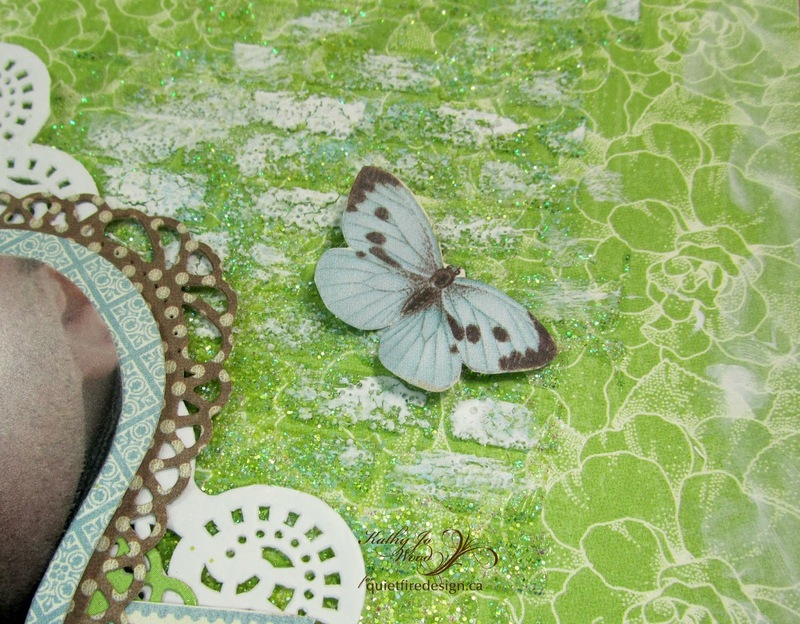 2 - Take a piece of Tissue Wrap larger than the cardstock and glue to cardstock with Collage Medium. Tear off excess along edges leaving any bits that don't tear evenly. 3 - Stamp Crackle Background randomly over Tissue Wrap with Sky Blue. 4 - Paint stamped Tissue Wrap panel with Dylusions paints and dry. 5 - Cut Summer from both black and white cardstock. Attach words together with the white on top off-setting slightly with the black down and to the left. Attach to center-bottom of panel. 6 - Stick Washi Tape above word. 7 - Die cut flowers from White Cardstock and trim stems to fit as shown. Glue to panel. 8 - Stamp quote with Jet Black. 9 - Attach panel to black cardstock and distress edges. 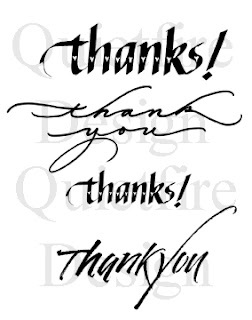 The sentiment was stamped on white card stock using Jet Black Archival Ink. 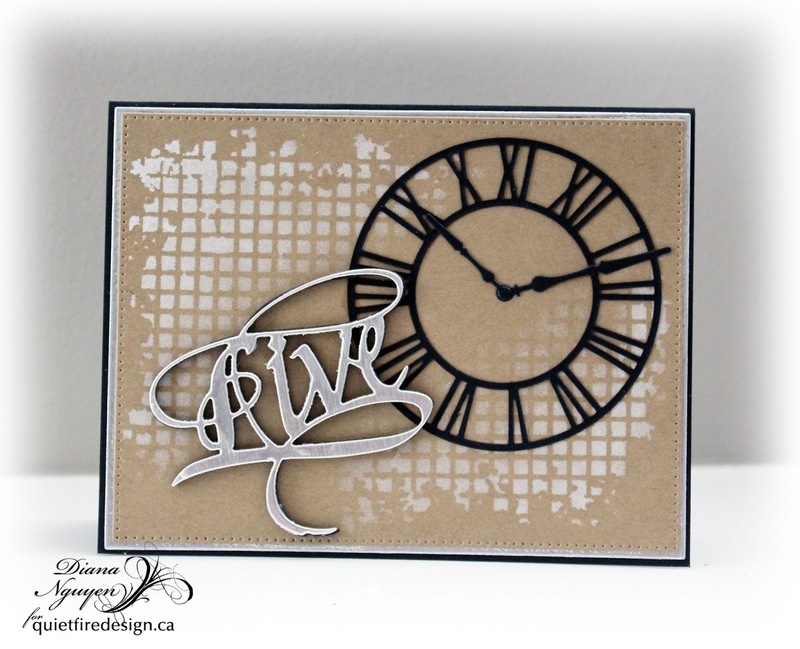 After drying it was die cut using Spellbinders' Labels 50 Decorative Elements. Gold card stock was die cut using the largest die in the same set. Peeled Paint Distress Ink was tapped onto a silicone craft sheet. 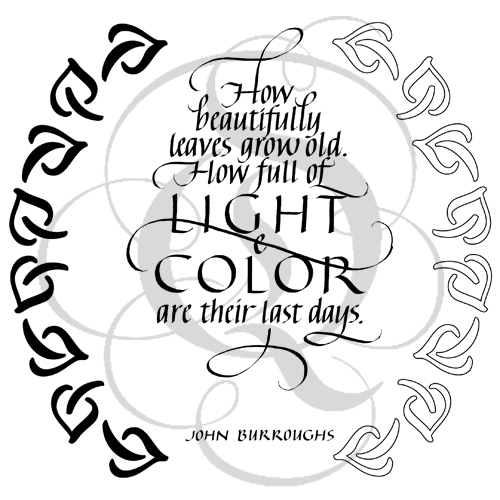 A water brush was used with the ink to color the leaves on the innermost die. Peeled Paint Distress Ink was applied to the inside of Spellbinders' Imperial M-Bossabilities folder and spritzed lightly with water. (Ink was applied more heavily to the bottom section of the folder to create an ombre effect.) Watercolor paper was spritzed lightly on one side and embossed using the inked Imperial folder. 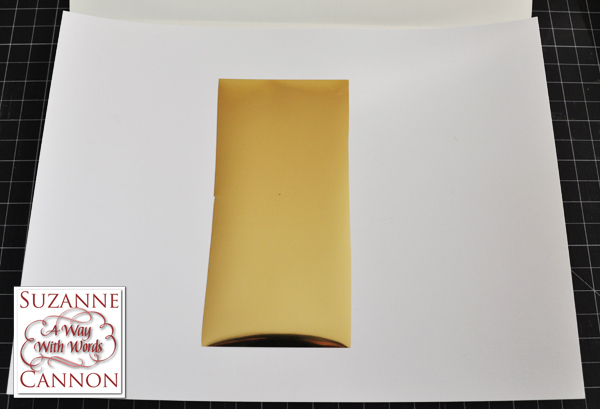 Gold card was cut to 4.25" x 5.5" and adhered to a white tent fold 4.25" x 5.5" card. The embossed watercolor paper was mounted to the card base as were the die cuts. 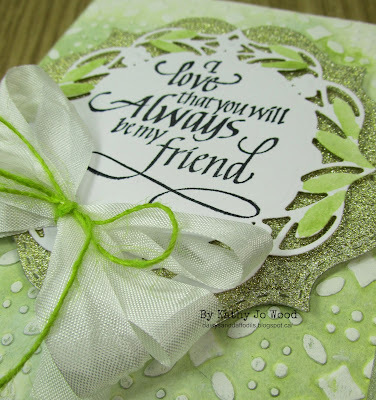 For the finishing touch, a triple seam binding bow was added with a wee green twine bow. I'm using an electronic file Cottage Days from Quietfire Design on the front which you can find in the Silhouette onLine store. 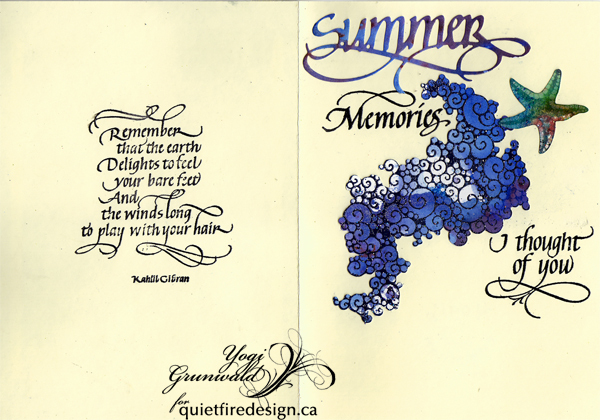 And of course a card wouldn't be complete without at least some Quietfire Design stamps "Remember That The Earth..." 8pce set; "Life Journey Words" 6pce set; and part of "When I Saw This..."
Scored and side folded my cream toned cardstock (5"w x 7"h). Stamped the fishnet background using Versafine Black Onyx on Bee Paper "Recycled Sketch Paper" (it's brownish kraft type color) and clear embossed. Swiped over it with Distress acrylic daubers "Tumbled Glass" and "Broken China"
Die cut the frame from white cardstock using the 2 largest of the long stitched line dies (Elizabeth Craft Designs "Stitched Rectangles"). Sponged with "Tumbled Glass" and "Broken China", then hit the edges with some "Tea Dye" and "Ground Espresso. Adhered the fishnet background to the frame. To get the sandy looking border - Applied Sookwang tape around the edges of the card, adhered my fishnet piece, then embossed the border, sprinkling with Distress embossing powders ("Pumice Stone", "Scattered Straw" and "Brushed Corduroy"). Burnished with my finger. 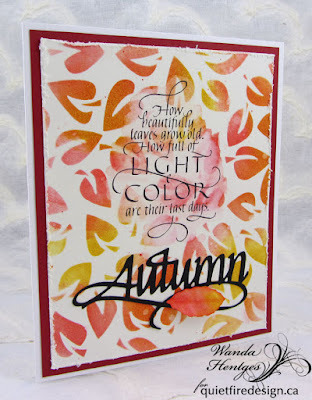 Created some background papers using watercolor paper and Brushos in a multitude of colors... Went a little wild... Then eCut the stamp shapes (if you don't have an electronic cutter, you can fussy cut around your stamped images. 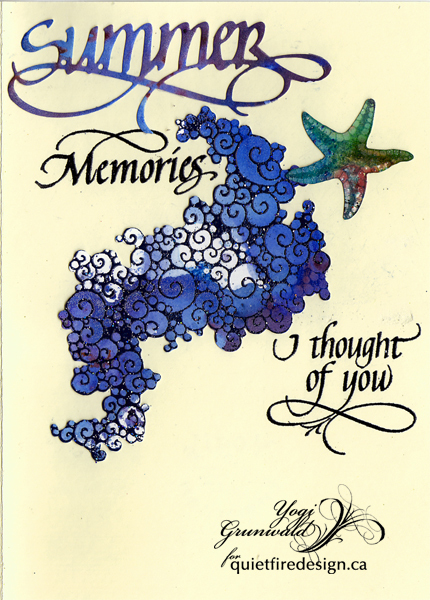 I'm lazy though...), stamped with the black and clear embossed the largest starfish and the seahorse. For the smaller starfish, stamped with Distress pads and embossed with Queen's Gold or clear. 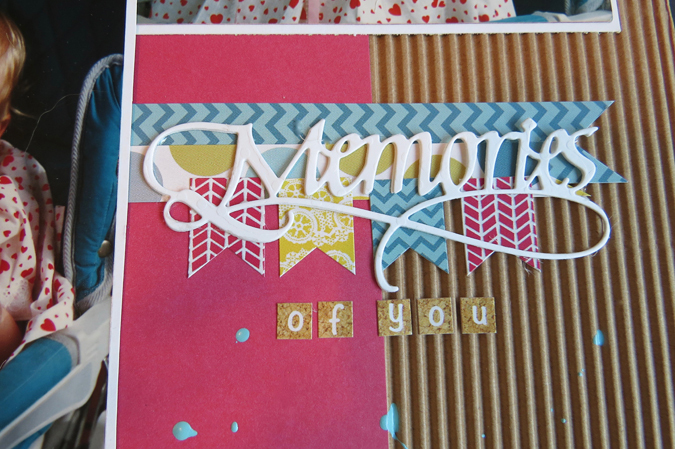 Also cut the "Cottage Days" and embossed using Emerald Creek Hot Stuff "Turquoise Shimmer" embossing powder. Adhered all the elements to my card front. Die cut the word "Summer" (available on Quietfire Design HERE) from more of the Brusho watercolor paper and adhered to inside. 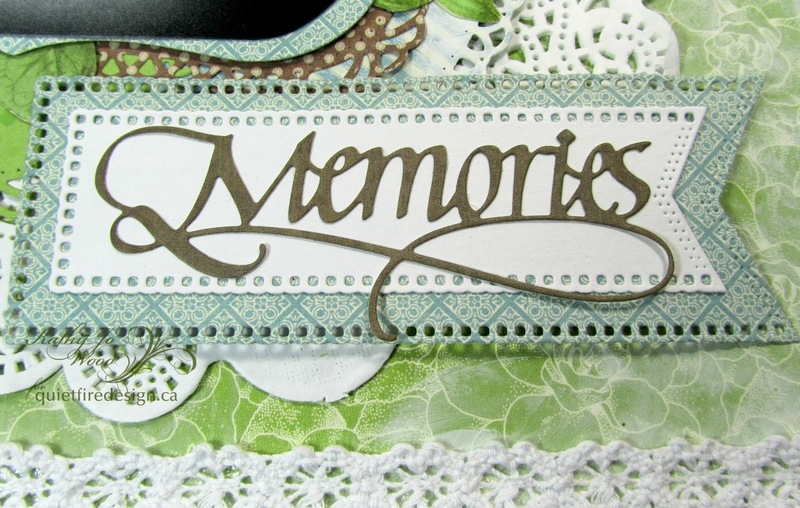 Stamped the word "Memories" ("Life Journey Words" 6pce set) using the black and clear embossed. 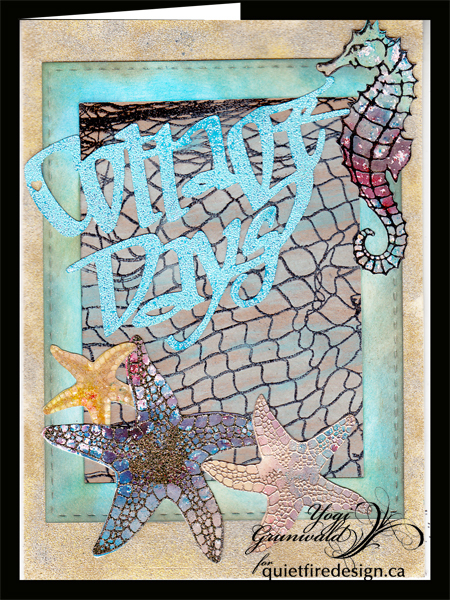 Another of the Designs By Ryn stamps the sea spray bubbles, also cut from the Brusho watercolor paper, stamped with Distress "Mermaid Lagoon" and embossed with Emerald Creek Hot Stuff "Midnight Sky" embossing powder. Adhered to card along with the smallest starfish. Stamped part of the "When I Saw This..." stamp, masking off the upper section, using the black and clear embossing. Hope you enjoy how I made this card. The background was sponged with white opaque Staz-On ink and a Memory Box Mesh stencil. 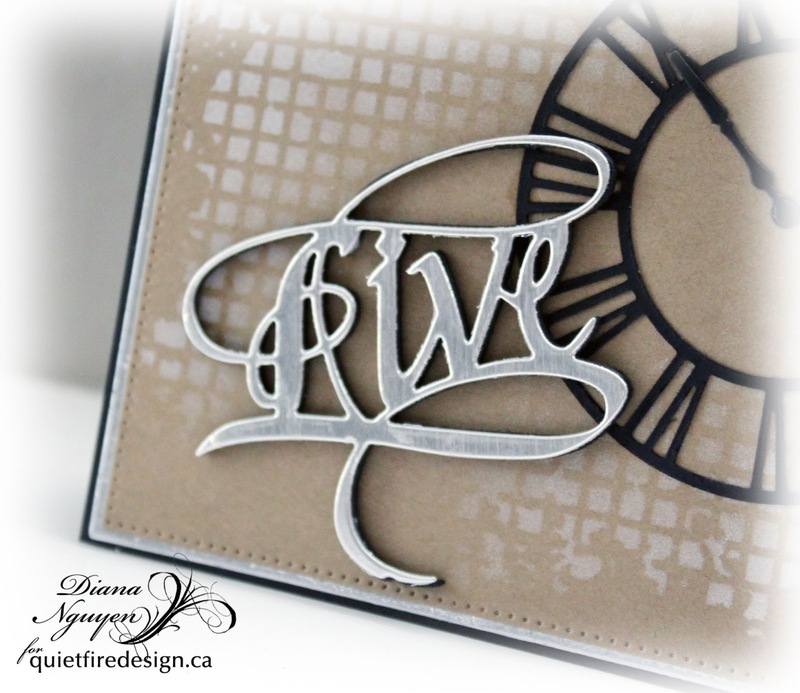 The Live die was used with silver craft metal sheet and popped up by cutting the same die on black foam. This ensured that the whole letter would be popped up evenly. 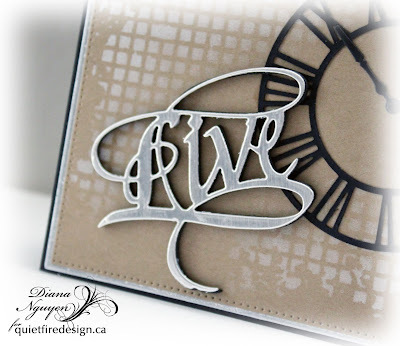 If you'd like a chance to win this Live metal die, please stop by my blog to see how! Thanks! It's Tuesday and it's Teresa here for another new post with the new release of "Way with Words" dies by Quietfire. 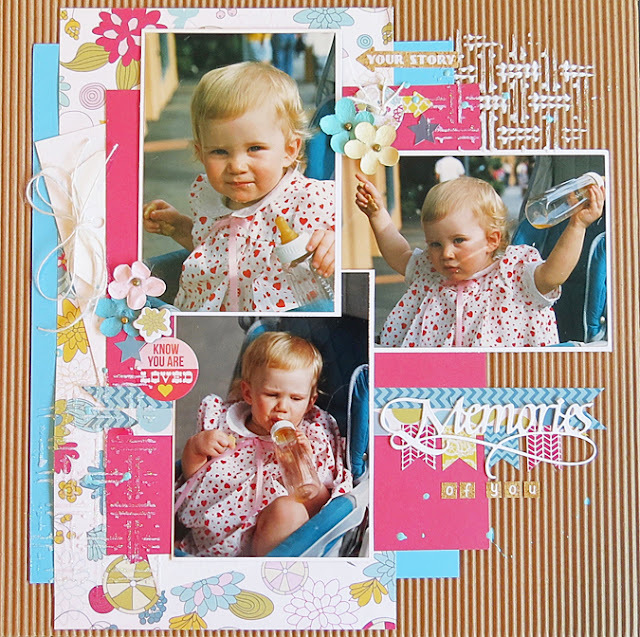 Today i am sharing the "Memories" die and i created a cute page of my niece with some pictures that i found just recently. I adore this die because you can do so much with it... everyone has memories to save so what better word to start a project with. For my page i used lots of bits from my stash of things. 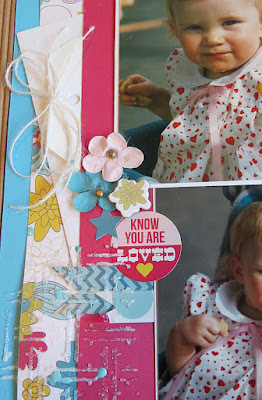 I used some corrugated paper in kraft that i had to start the base of the page and then i layered some pretty colored papers over it to make the photos pop out more. I also added some pretty flowers and stickers to it. She was such a smart and fun little girl so this was fun to make to remember her when she was little. For the new "Memories" way with words die i cut it twice and glued it together and then glued that on a few band of paper that i tucked under the bottom photo. The little flags come in the paper set and so did the extra small letters that i used to make up the title. These are great little words and you could add glitter or ink them to go with pretty much anything that you are working on. And lastly here is just a quick closeup of the little bits on the side. I added a tiny tag under the photo so that i could write down some fun things i remembered about her and when she use to come over to visit with me. Thanks for stopping over and below is a photo of the new die and a link to get one for yourself!! Have a really wonderful and crafty week. 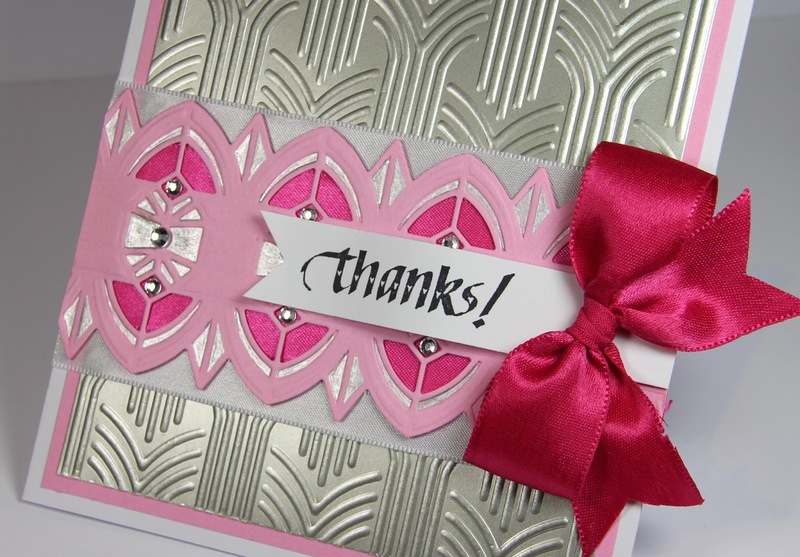 Yvonne here sharing asimple, elegant card using the gorgeous Quietfire Design stampset "Thank You". 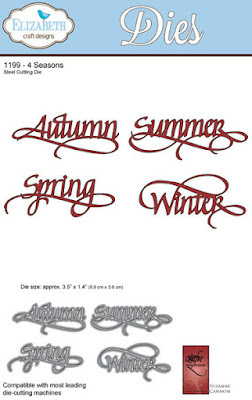 This stampset is a set of 4 beautiful stamps. The card is about simple layering and is quick an easy to make. Hi there! It's Suzanne here today. Well, I'm sure by now you've seen this card. Now I'm going to tell you how to make it! The Memories die is just one of the new dies released this spring and expands the A Way With Words collection to 29 dies and sets. I am seriously in love with Maja Designs paper. I love the shabby look, but seldom have the time to create it myself from scratch, so this solves my problem! And there is lots of opportunity to use tone on tone. 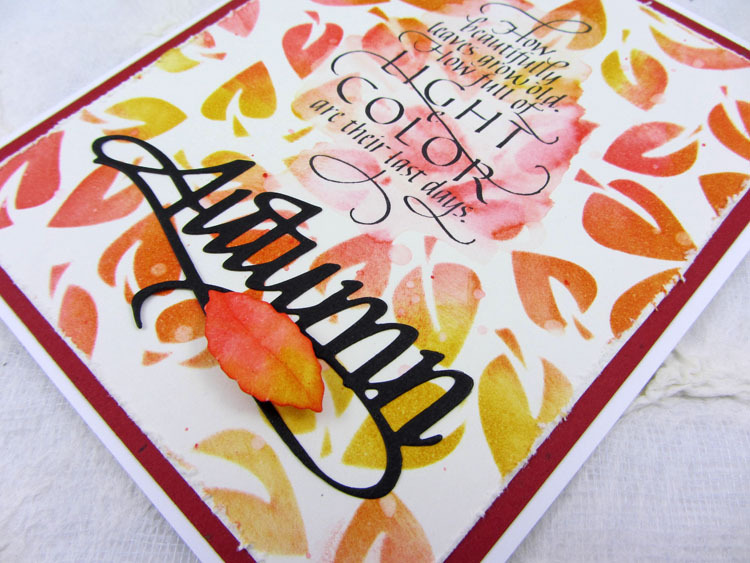 Here are the supplies you will need to make this card. Form a tent fold card base from dark pink cardstock measuring 6.25 x 5.75". Cut a rectangle from striped cardstock measuring 3.5 x 5.75" and a panel of polka dot cardstock measuring 5.25 x 3.75". Laser printer copy made from the die. 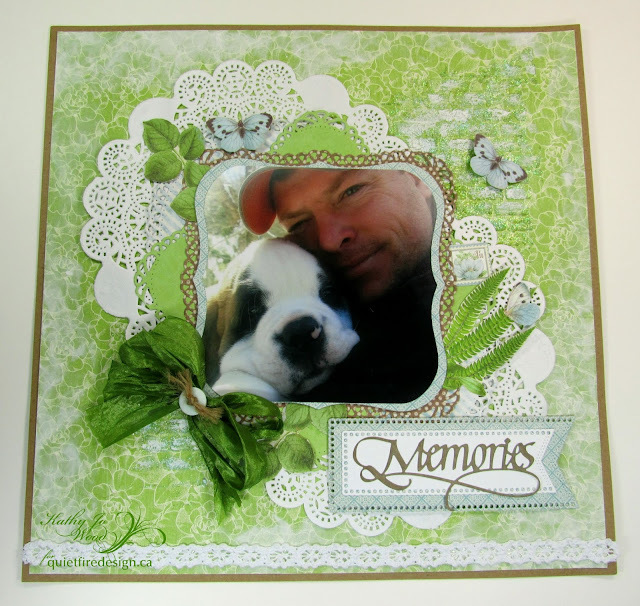 Stamp sentiment and trim cardstock to create a panel which fits stamped image. Mat this panel with a panel of dark pink cardstock measuring 1/8" larger. 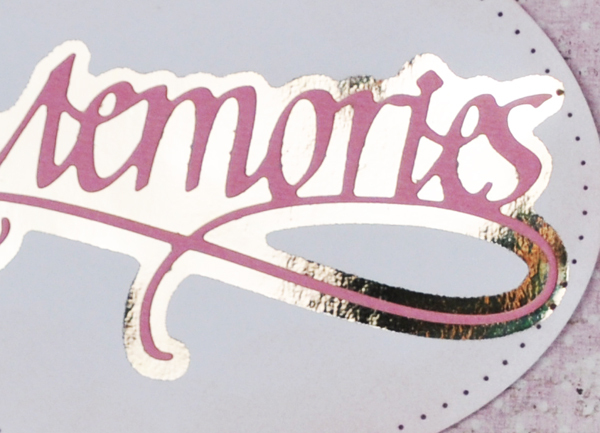 Die cut Memories from lavender cardstock. Designer Becca Feeken first made me aware of the possibility of surrounding a diecut with a gold foiled border. You may see her video tutorial here. Here is how I created my version. I placed my die on the glass and made a copy onto white laser paper. If I used heavier paper, my laminator wouldn't heat up hot enough and the foil didn't stick everywhere... :-( You MUST make a laser (toner) copy, not one from an inkjet printer. Cover photocopied image with foil and run through laminator. 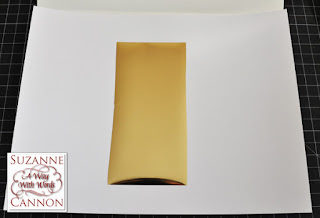 Remove the foil sheet from the surface of the image and admire the shine! 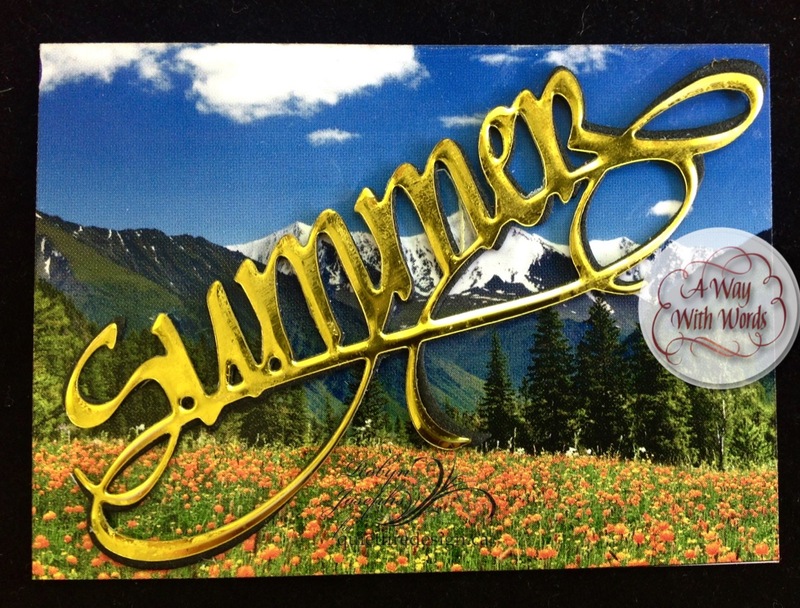 Diecut the gold foiled image with a Stitched Oval die. 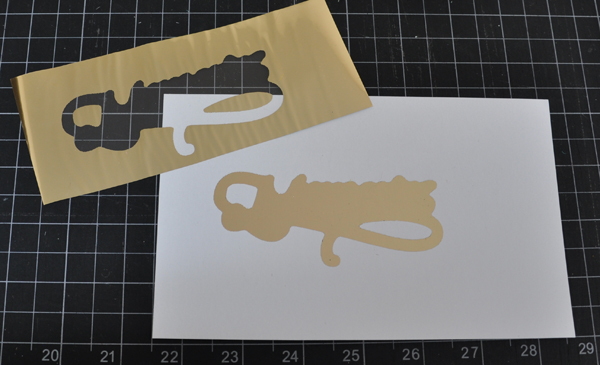 Adhere die cut on the foiled surface. Sponge Tattered Rose around the edge of the oval diecut. Assemble the card as shown in the photo alternating foam and double-sided tapes to give some layers dimension. Designer Tip: You can substitute quotes or change the sentiment panel for a photograph. Thanks for having a look! I hope you love the new die designs! Good Morning. This is Selma today. 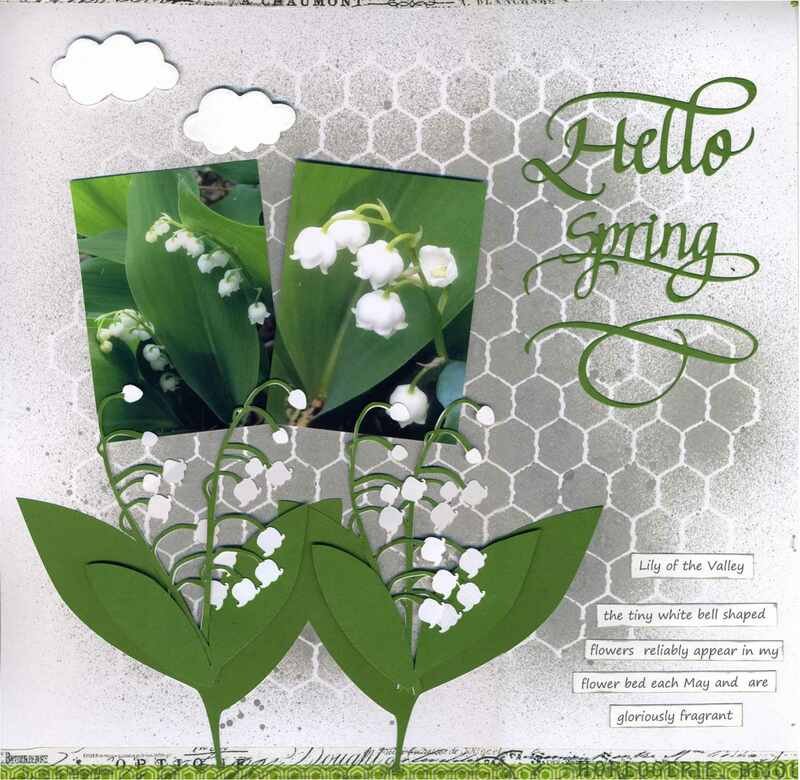 Have you had fun seeing all the projects the designers have been posting, on the blog, using the new Spring release dies? We hope we are giving you a lot of inspiration for using these beautiful new die sets. 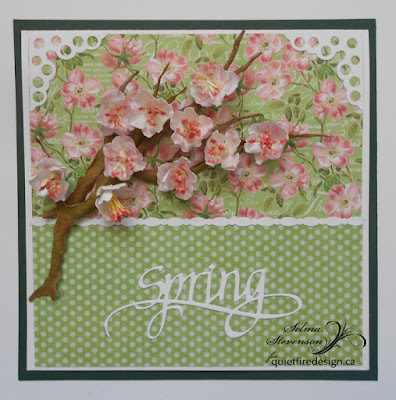 My card today is showing the beautiful A Way With Words "Spring" die cut, which is one of four dies in the 4-Seasons die set. One of the first things we see announcing Spring, are the Cherry Blossoms. 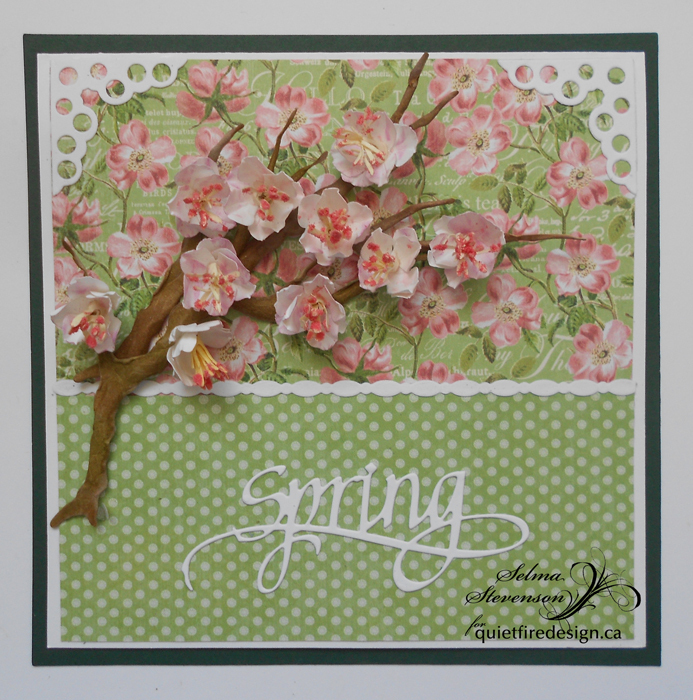 I have designed my card using Susan's Garden Cherry Blossom dies to create a branch, which was attached over a piece of design paper with Cherry Blossoms. A piece of dotted design paper was used on the bottom. 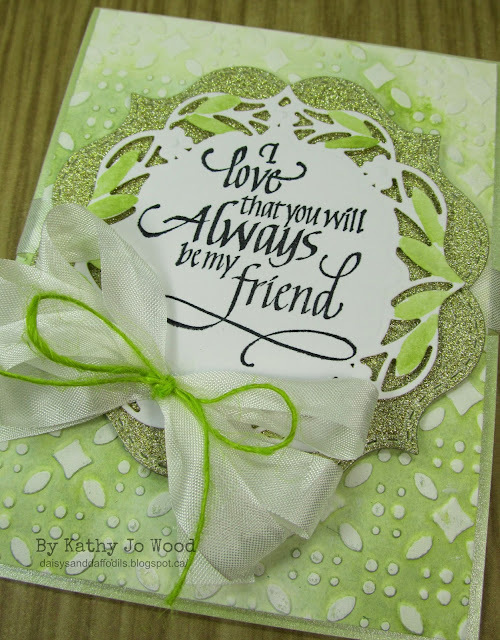 Across the center of the card is one of the Elizabeth Craft Designs Ribbons & Jewels die cuts. The Spring die cut was attached on the bottom portion of the card and two Elizabeth Craft Designs Corners 1 were glued to the upper corners. There are three new die releases; 4 Seasons (set of 4), Memories, and Remember. 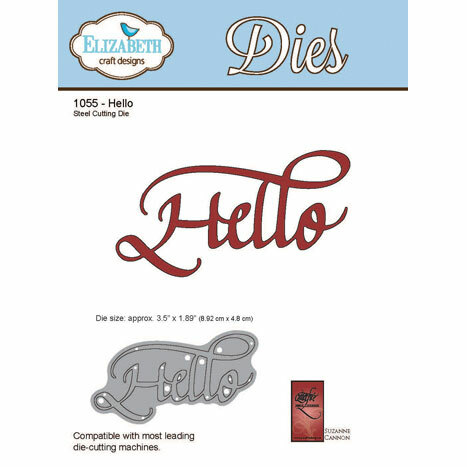 You can see these new die sets at this LINK plus be sure to check out the beautiful stamps sets that will coordinate with these dies. 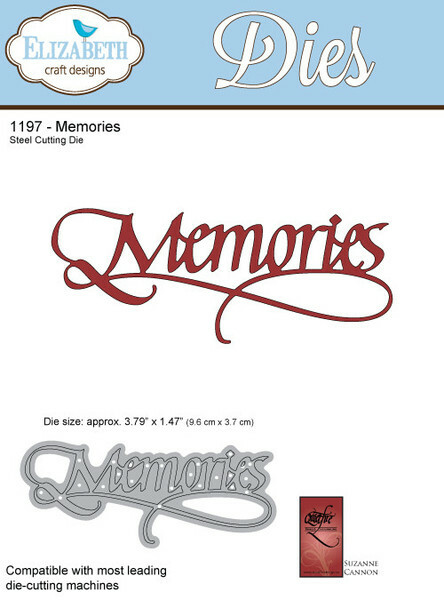 What project(s) would you like to create with these new dies -- a card, a scrapbook page, or perhaps a Memories Box for keepsakes! Hello!! 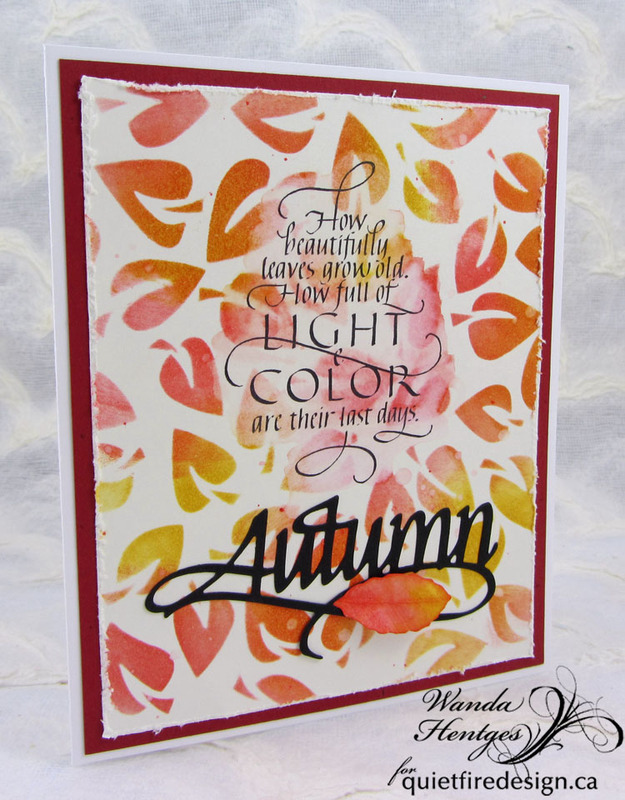 It's Wanda here today sharing a card for this week of New Die Release ideas!! and I've combined it with the quote from this set. I began with a piece of Mixed Media Cardstock (Ranger), a leaves stencil (The Crafter's Workshop), and Distress Inks - Abandoned Coral, Fossilized Amber, Barn Door. I used an ink blending tool to add color through the stencil onto the paper and removed the stencil. Then I put some Abandoned Coral on my craft sheet, picked up color with a water brush, and flicked it onto the panel. The quote was stamped with Archival Ink Jet Black. 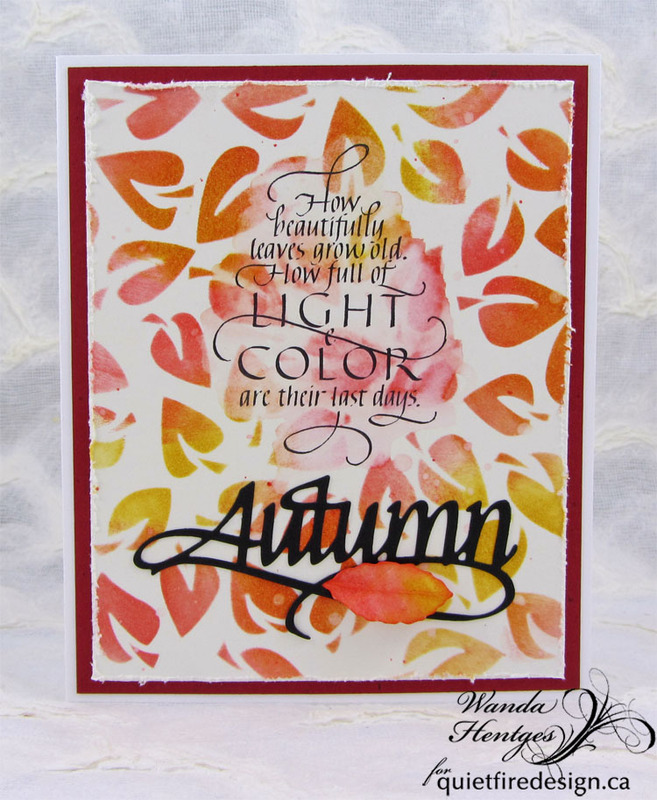 I wanted to "fade" the leaves a bit where the quote was so I brushed on water in that area, blotted it up and dried the paper. Autumn was cut from black cardstock and glued to the panel. The edges were distressed and the panel was layered to a red panel and then to a folded white card. 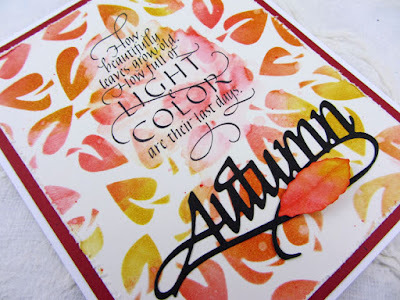 I colored a scrap of Mixed Media Paper with Abandoned Coral and Fossilized Amber using a water brush, dried it, die cut the leaf (Elizabeth Craft Designs) from that scrap, shaped the leaf using the Susan's Garden Tool Set, Molding Mat, and Leaf Pad (Elizabeth Craft Designs) and attached it as shown below the word Autumn. I hope you're enjoying this week of ideas!! 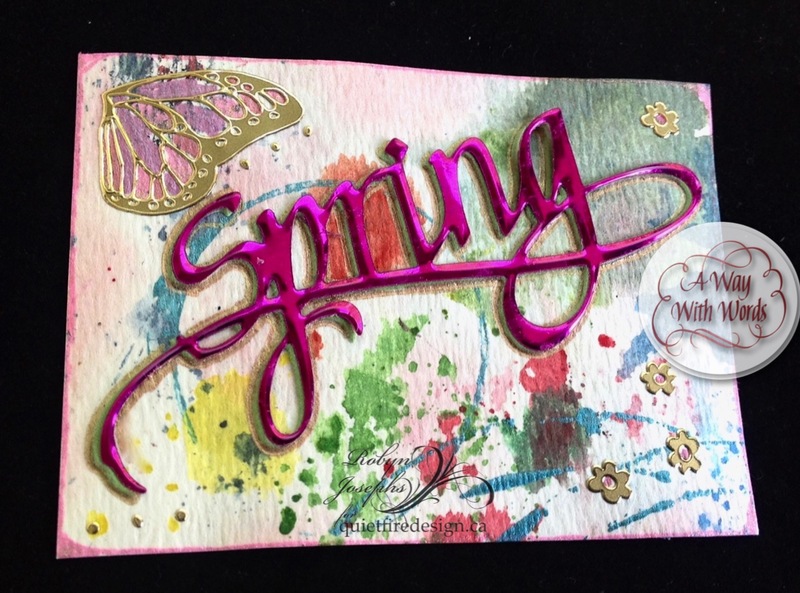 I combined the word 'Spring' with the Hello die and a flourish from Calligraphic Elements 1. 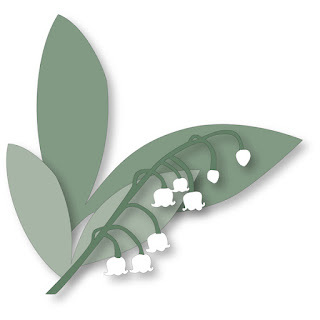 The lily of the valley embellishments are Quietfire Design cut files - aren't they pretty? 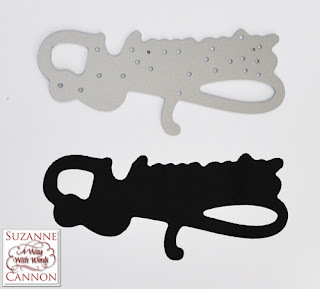 I cut these with my Sizzix Eclips2 electronic die cutter, but they are also available in the Silhouette Design Store here. 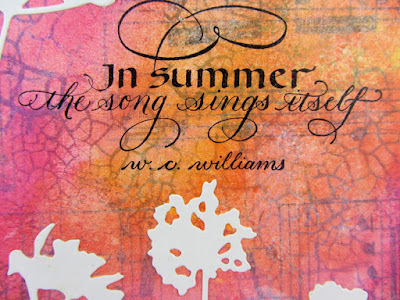 Supplies Used: Close to my Heart cardstock, Crafter's Workshop stencil, Clearsnap Smooch Spritz, Sizzix Eclips 2 electronic die cutter, Elizabeth Craft Designs A Way with Words and clouds dies, washi tape. 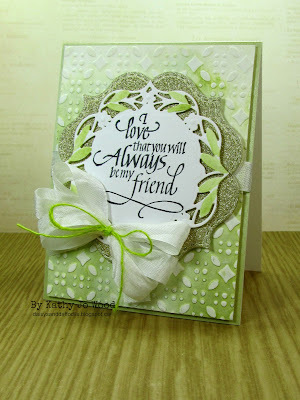 Love, love, love this new die! With such a pretty die, I decided to use some of my treasured Graphic 45 paper for page (Botanical Tea)...and I am so happy I did. Now I have the first page in Teddy's scrapbook: "Memories". 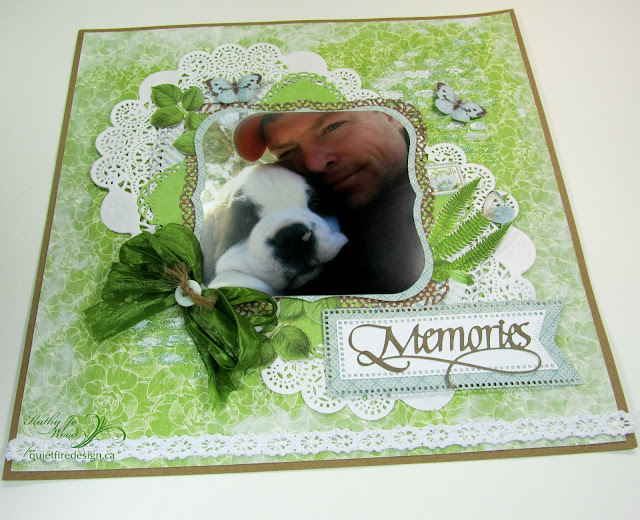 I hope you enjoyed the "Memories" scrapbook page. Feel free to hop on over to check out the other new lovely releases...well worth the trip! New Quietfire Dies! 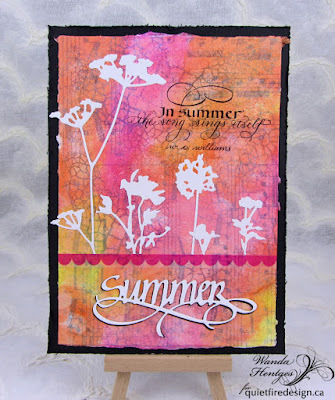 Spring and Summer -15 minute wonders! Robyn running by with a quick post. by Suzanne Cannon for Elizabeth Craft Designs. All dies are pre- order at this time. 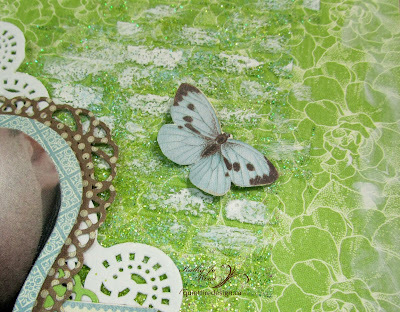 Adhere fun foam cut to Artist Trading Card- 2 1/2" x 3 1/2"- mine are from never ending stash! Adhere Shimmer Sheetz cut to foam cut. Admire! and gift or trade your new cards! You can stop there and be done, or embellish to your hearts content. 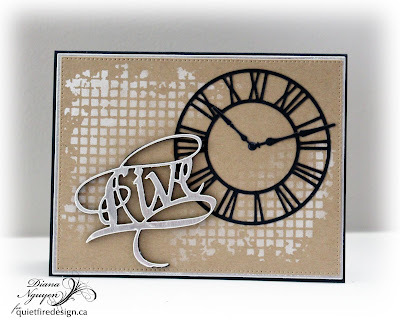 Here a few Elizabeth Craft Design Peel Off Stickers and a bit of ink add some interest! 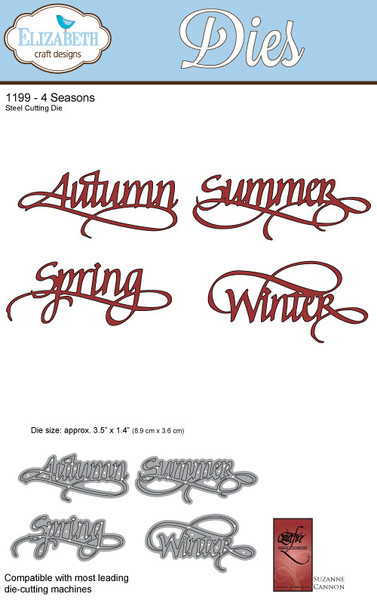 The New Dies are in the mail to the rest of the Design Team so check back often for inspiration! Comments and Questions welcomed and be sure to post your creations to our FaceBook Page!